Inspired with a success of my previous Cold 2H Savagery trickster I decided to make something curious to think about. I don't see any Gladiator build with Temporal Arcblade I always loved and (I think) no one uses melee Aether Savagery. Meet Oirunas, The Lord of the Watch. Savagery really shines this patch, and I had lots of fun with this one. This build uses Savagery converted into Aether using Conduit of Wild Whispers with proper prefix. The second part of the recipe is class combo of WPS: Shaman provides Feral Hunger, and Necromancer provides Reaping Strike and Necrotic Edge. With these WPS procs you have 50% chance to hit 5 targets with 367% or 488% WD (Necrotic Edge or Feral Hunger), and 50% Chance to heal yourself for 36% of damage dealt (Reaping Strike and Feral Hunger) with 21% constant ADCtH on top. Very good survivability and sustain coupled with layered defenses and huge HP. 124% Aether RR to support our damage. 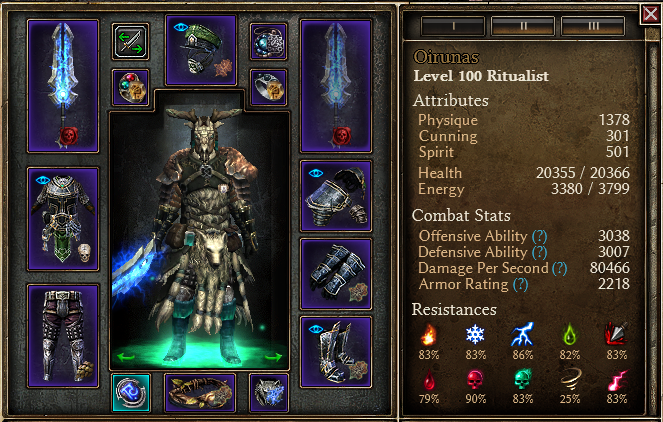 This build is relatively easy to assemble due to bunch of craftable items: weapon, ring, amulet, helm. Always look for % Armor bonus on craftable items. With 75% WPS pool Upheaval becomes redundant, since it's only 25% chance to hit someone with regular attack, and with 15% crit chance it's totally 3% to proc Upheaval. I almost don't see its procs during main campaign, so I decided to take it out and invest only 1 pt. Do not be fooled with only 11k Aether damage in Weapon damage on sheet: it doesn't show the Lightning->Aether conversion from Savagery. With conversion you totally have ~18-20k Aether weapon damage. In comparison with Arcanist, Necromancer don't have so good additional sources of flat Aether like Fabric of Reality and Reckless Power, but additional Aether RR and 2 strong WPS procs make Necromancer more preferable for Aether Savagery build like this. Aetherfire Fleshwarped Core of Shattered Reality weapon is in fact little better, but all its damage bonuses are wasted with its low attack speed. I found one and total damage gain is 6% - not worth spending so much time to find one. Aggressive melee combat. Debuff everything and crush'em all! As I said, this build is super durable: you live on ADCtH from Weapon damage, ADCtH from Reaping Strike and Feral Hunger; if you're in danger, place Wendigo Totem; if that's not enough, cast Mark of Torment; as the last defense you always have Ghoul proc. This all together translates into 15-20 seconds of practical invincibility, so you can face (for example) 2 Reapers and Maiden with ease. The only danger is Grava'Thul, kill him first. His ridiculous 64% damage reduction makes our healing WPS' ineffective, so you must kite a bit until your damage returns. Most of my builds can be found in Build Compendium IX and X. Last edited by veretragna; 12-08-2018 at 06:29 PM. 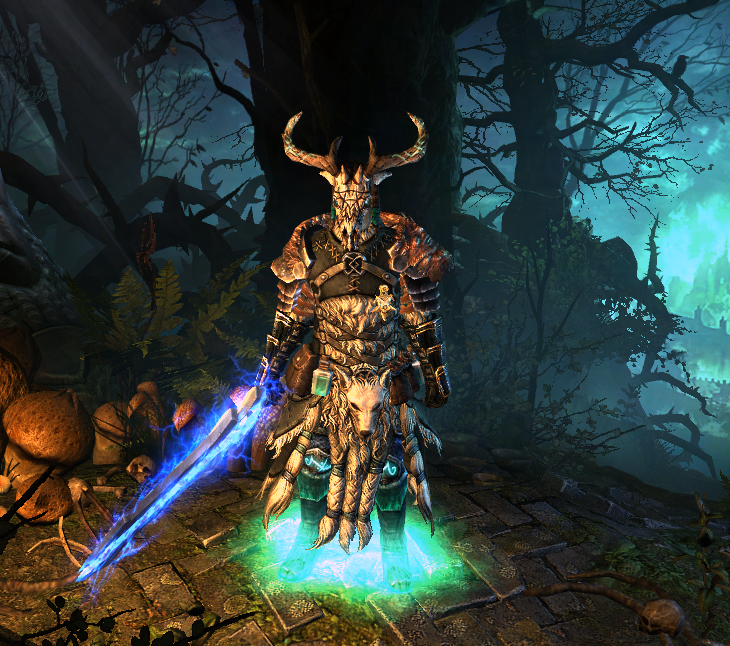 This build is super easy to assemble due to bunch of craftable items: weapon, ring, amulet, helm, shoulders, medal. Plz, dont spred these lies, just tell that you GDstashed it all . Medal is questionable, I traded it in net game for previous build, and transferred it to this one. Other craftables are crafted by me. How much iron coins it cost? I suppose around 30 mil for okaysh rolls on 2h, conduit and relic. Anyway its possible to replace BoM with any green Infiltrator medal of attack. Anyway a build with +5 BoM, dooblerare pantsu and exact suffix on conduit is not "supereasy" to assemble. Even with substitute like Legplate of Valor and green medal. Last edited by Ptirodaktill; 06-18-2018 at 11:22 AM. All my gladiators are multi-millionaires, so I just eventually transfer all iron to current gladiator and craft things till success. Relic and shoulders are from the previous build. On Conduit I looked for Aether Savagery prefix, resistance suffix doesn't matter much - I crafted one with poison and closed other resists with armor augments. 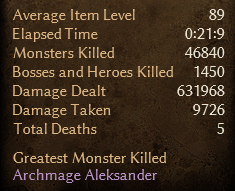 2H and helm - can't say, I just crafted them and looked for armor bonus. In summary it don't take much time and money. Last edited by veretragna; 06-18-2018 at 11:27 AM. Aside from BoM by trade what is so hard to get? UPD: edited the description for "relatively easy". As for pants: they must be "Stonehide" and cover elemental resistance also. I have this pair of pants, but maybe Kuba chausses are BiS with elemental-res suffix. 7% Armor roll require 12 attempts to craft with 80% chance to sucsess. If you want a good item, it translate intro ~30 crafting attempts. For 2H, ring, shoulders and hat. Then come mithycal relic with exact skill bonuses. ~9 crafting attempts. All this stuff would require around 300 hours of farming for coins and mats. "Easy" to assemble, lol.